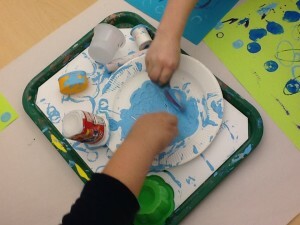 Experimenting with different art materials allows artists to discover and create works that can express meaning. 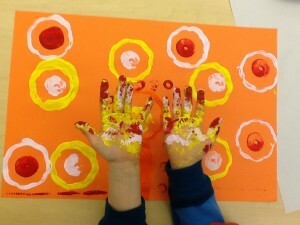 In the elementary art classroom, it is important to give students the time they need to play with and discover the unique properties of different mediums. How could they create with it until they have an understanding of what it is and what it does? You have to decide whether your objective is a product or process. Like teaching, the process of art-making can be messy. Educators need to reflect on how lessons are working for their students and listen to what they need. Do they need time to mix colors to discover twenty ways to make brown? Does a fourth grader need time to pet a really fuzzy pipe cleaner? Do some students need to spread creamy slip all over their hands so they can understand the properties of clay? Today, I watched a third-grade student color the back of her hand with a marker. Later, when I asked her what happened to her hand, she said, “Oh, the marker slipped.” No, there was way too much marker on her hand for that! Perhaps she needed to experiment with how that might feel on her skin. One particular student helped me realize this need for experimentation. Last year, during a 1st-grade found-object printing lesson I decided to take some pictures of students with their creations. What a great thing for me to hear! And so I was reminded, by a 6-year-old, that the process of learning and experimenting with different media can be more meaningful to students than any product or process. What do you think? 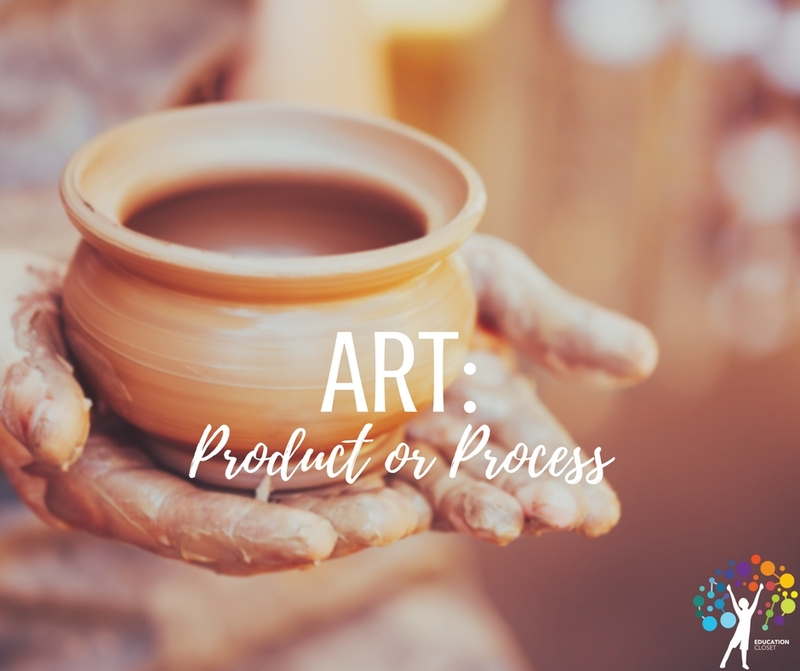 Are product or process equally important? Or is one more important than the other? I’d love to hear your thoughts, please comment below!